If you’re retired or getting ready to retire from military service, keep in mind civilian life can be expensive. If you’re looking for ways to save money, here’s something to consider. Depending on the state in which you retire, you may not have to pay state income tax on all or part of your military retirement pay. Here’s a quick overview of how it’s taxed (or not taxed) in all 50 states as of 2018. Nine states don’t require military veterans to pay state income tax on military retirement pay because these states don’t collect state income taxes from residents: Alaska, Florida, Nevada, New Hampshire, South Dakota, Tennessee, Texas, Washington and Wyoming. On the flip side of the coin, these nine states do tax military retirement pay and have a state income tax: California, Georgia, Montana, New Mexico, North Dakota, Rhode Island, Utah, Vermont and Virginia. 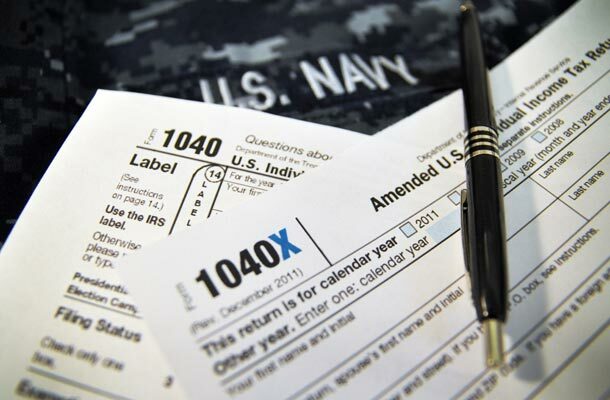 Twenty more states don’t tax military retirement pay, but do have a state income tax. New to this list in 2018 is West Virginia: Alabama, Arkansas, Connecticut, Hawaii, Illinois, Iowa, Kansas, Louisiana, Maine, Massachusetts, Michigan, Minnesota, Mississippi, Missouri, New Jersey, New York, Ohio, Pennsylvania, West Virginia and Wisconsin. There are also twelve states with special provisions or other considerations for the taxing of military retirement pay. You can read more about these here. Because tax codes vary by state and can change from year to year, you should consult a tax professional to learn about the most recent updates. U.S. Navy photo by Mass Communication Specialist 1st Class Patrick Gordon.